Extend your IT infrastructure with highly customizable Virtual Cloud Networks (VCN) and connectivity services offering predictable and consistent performance, isolation, and availability. 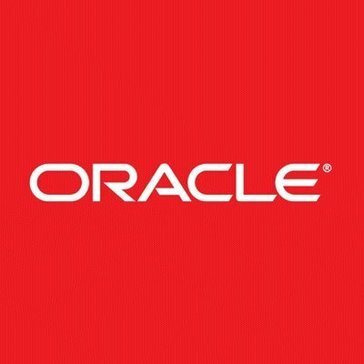 Work for Oracle Cloud Infrastructure Virtual Cloud Network? Learning about Oracle Cloud Infrastructure Virtual Cloud Network? "Oracle Cloud Infrastructure Review from a Time & Expense User"
The Expense application is easy to use and my reimbursement is directly deposited in my bank account with three days. Before Oracle Cloud we were constantly waiting for project numbers. The Time application is very slow to respond to entry, search, update and save. Please check out the response time, especially on the timecard application. I work in a remote office but from conversations with coworkers at our corporate headquarters I understand this is not a local issue. I honestly can't remember the last time I used an application with such a slow response time. Global electronic time and expense reporting - is what I understand. I'm a user. What Virtual Private Cloud (VPC) solution do you use? Amazon Virtual Private Cloud (Amazon VPC) lets you provision a logically isolated section of the Amazon Web Services (AWS) cloud where you can launch AWS resources in a virtual network that you define. IBM Cloud Private is an application platform for developing and managing on-premises, containerized applications. It is an integrated environment for managing containers that includes the container orchestrator Kubernetes, a private image repository, a management console, and monitoring frameworks. VPC helps you build an isolated network environment based on Alibaba Cloud including customizing the IP address range, network segment, route table, and gateway. In addition, you can connect VPC and a traditional IDC through a leased line, VPN, or GRE to provide hybrid cloud services. Google Virtual Private Cloud (VPC) allows users to manage networking functionality for their Cloud Platform resources. AWS PrivateLink increases the security of data shared with cloud-based applications by eliminating the exposure of data to the public Internet. AWS PrivateLink provides private connectivity between VPCs, AWS services, and on-premises applications, securely on the Amazon network. Azure Virtual Network service enables Azure resources to securely communicate with each other in a virtual network. Get the agility, scalability and efficiency of the public cloud, with the greater levels of control and security of a single-tenant, dedicated environment. It can be hosted on-site at your own data center or at a service provider's data center. Abacus Private Cloud leverages cutting-edge virtualization technologies to run all software applications in a fully managed, secure and redundant private environment, mitigating liability, safeguarding information privacy and assuring regulatory compliance. Quickly and easily tap computing, storage, software, development and network resources on demand with cloud services. With available pay as you go service models for some services, overall IT spend and service-commitment terms can be reduced. * We monitor all Oracle Cloud Infrastructure Virtual Cloud Network reviews to prevent fraudulent reviews and keep review quality high. We do not post reviews by company employees or direct competitors. Validated reviews require the user to submit a screenshot of the product containing their user ID, in order to verify a user is an actual user of the product. Hi there! Are you looking to implement a solution like Oracle Cloud Infrastructure Virtual Cloud Network?